The inscriptions in both temples are of excellent quality and visualize a number of non-dual events. Furthermore, the temple of Sety I is still renowned for its healing qualities. The Osirion is located next to the temple of Sety I. This special complex, which is connected to the Nile river, is over 20.000 years old. A few of the stone pillars of the Osirion are branded with images of the Flower of Life. The image is symbolic for the blueprint of creation and occurs in almost all ancient cultures. 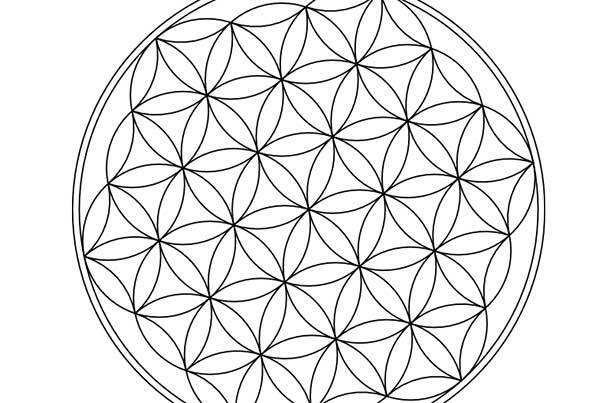 As such, you can find the Flower of Life images in Indian Hindu temples, but also in the ancient temples and holy buildings in South America, Greece, China, Japan and Israel. This primeval symbol is the visual expression of oneness, a oneness from which creation can arise, which in turn originates from the ‘Great Void’. 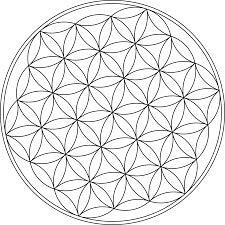 By means of a deeper understanding of the Flower of Life, the oneness of all that lives and all that manifests itself can be truly understood. The energy of oneness and the basic principle “all is one” has a particularly strong presence on the site of the Osirion, the temples and in the surroundings of Abydos. It is this oneness with which we shall make a connection during the retreat. I am the One that becomes Two, which becomes Four, which becomes Eight, and then I become One once more. 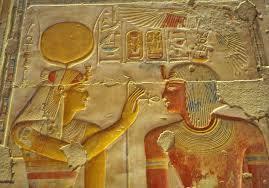 Abydos is also the place of the legendary Omm Sety (mother of Sety), who was once born as Dorothy Eady in London. As a child, she trips down the stairs of her elderly home and falls into a deep coma. After she wakes up, she knows in her heart that she doesn’t belong in London but in Egypt. At an adult age she finds a job opportunity and a home in Cairo. From there she finally ends up in her beloved town Abydos at the age of 52, where she helps a number of archeologic teams to decipher hieroglyphs and assists with the restoration of temples. Everyone who meets her is deeply impressed by her magnificent knowledge about the history of Ancient Egypt. Omm Sety passes away in April 1981, fortunately much of her work has been preserved and can be found in the programs of House of Life. The mysticism surrounding Abydos serves as an excellent opportunity to enter the mystique of non-duality. After arrival and an overnight stay and breakfast in Luxor we will visit the temple of Karnak in Luxor, whereupon we continue our trip to Abydos. During the trip we’ll have a picnic in the desert and visit the temple of Hathor in Dendera. At the end of the afternoon we’ll arrive at the House of Life in Abydos. This will be our home for the next seven days. During these seven days we will follow a more or less fixed program which consists of light physical exercise, meditation, periods of silence and accommodation in temples. In the Osirion we will do meditation exercises, massages, sound and color healing and introspection by means of assignments. We will also take part in two rituals which were once used in Ancient Egypt to cleanse and prepare oneself for non-dual experiences. Above all, there is enough time and opportunity to experience your own non-dual state of being and to follow your own footsteps outside of the program. The costs of this retreat amount to € 1.500,00 (VAT is not needed) and excluding your flight ticket. In addition you will need around € 150,00 for entrance fees to the temples, some pocket money and tips. The retreat is in hands of Erica Rijnsburger. She is an experienced trainer and coach and she organizes retreats at different locations, both nationally and internationally. She is also the author of two books about the workings of the Superego and experiencing non- duality. You can find more information about her at www.elenchis.nl. During this retreat Erica will be assisted by Henk van der Eng and by Horus (who was initiated by Omm Sety herself at a very young age), his tower of strength Adam and the other staff of House of Life (http://www.houseoflifeabydos.com/nl). To sign up for this retreat please send an email to erica@elenchis.nl or to henkvandereng@gmail.com. You can also contact them for more information about the program or specifics regarding the retreat. 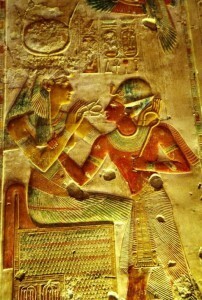 Pharaoh Sety I receives the Key of Life from the goddess Isis and therewith the entry to experiencing oneness in all that is.